Chicago – This Phillip Johnson designed post-modern skyscraper features a tapestry by Helena Hernmarck titled "The 1909 Plan of Chicago." San Francisco – This 148 meter office tower in the South of Market area is part of a new generation of skyscrapers built in San Francisco's downtown since 2000. Chicago – With an elegant composition of articulated glass and steel, 353 North Clark is located at the center of the River North neighborhood. This Phillip Johnson designed post-modern skyscraper features a tapestry by Helena Hernmarck titled "The 1909 Plan of Chicago." 650 California is visible from every direction except from the southeast, where the nearby Financial District skyscrapers block the view. An American Art Deco skyscraper that forms the centerpiece of Rockefeller Center in midtown Manhattan, the GE Building is one of the most recognized skyscrapers in New York. Completed in 2005 and standing at 143m, Tour Dexia is one of the few towers in the La Défense business district with an inclined roof. 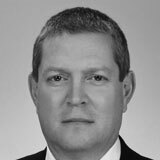 Tishman Speyer operates in 41 markets, 10 countries and 4 continents. Since its inception in 1978, TS has acquired, developed and operated over 370 projects totaling over 133.8 million square feet, and has assembled a property portfolio in excess of US $73.0 billion in total value across the United States, Europe, Latin America, India and China. TS has over 1,550 real estate professionals and support staff worldwide and serves the space needs of over 2,300 tenants worldwide. 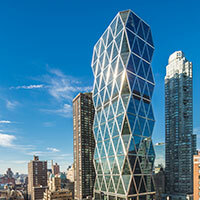 Signature assets include New York’s Rockefeller Center, Chrysler Center and Yankee Stadium, Frankfurt’s MesseTurm and OpernTurm, São Paulo’s Torre Norte, and Ventura Corporate Towers in Rio de Janeiro. Currently, TS has projects in different stages of development in major cities around the world, including Brasília, Chengdu, Frankfurt, Gurgaon, Hyderabad, Paris, Rio de Janeiro, São Paulo, San Francisco and Suzhou. 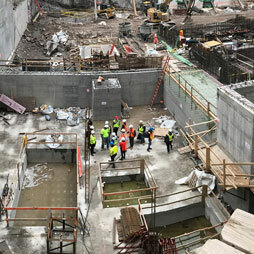 The CTBUH Atlanta Chapter hosted two hardhat tours of Three Alliance Center, the largest office building currently under construction in the city. 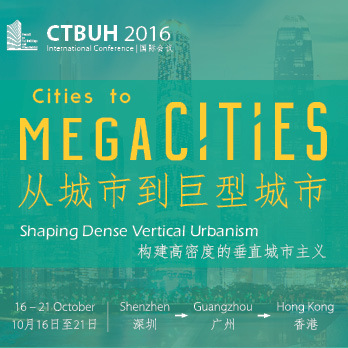 James Parakh of the City of Toronto Planning Department is interviewed by Chris Bentley during the 2016 CTBUH China Conference. James discusses the design elements of successful public spaces. Robert Pratt of Tishman Speyer Properties is interviewed by Chris Bentley during the 2014 CTBUH Shanghai Conference at the Jin Mao Tower. 150m+ Buildings 31 Completed • 3 Under Constr.